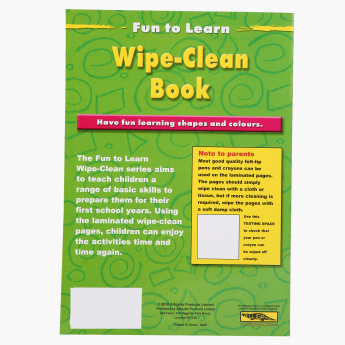 First Learning Wipe Clean Books | Multicolour | Fun to learn books help to teach kids various skills that prepare them for first school years. 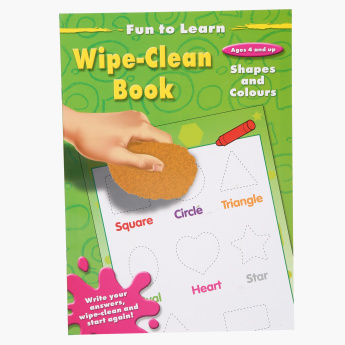 Let your little one learn and improve his skills using this wipe clean colouring book. The book consists of colours and shapes for him to learn from. Once used, the colours can be cleaned conveniently. Feature 1 : Fun to learn books help to teach kids various skills that prepare them for first school years. 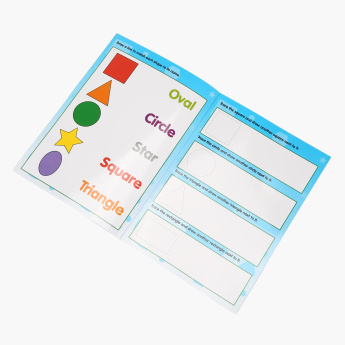 Feature 3 : The laminated pages are easy to wipe and clean, so the kids can have fun again and again. Feature 2 : Contains a variety of entertaining activities, puzzles, and simply phrased questions, along with drawing and coloring pages.